Going into business for one’s self isn’t for everyone. There’s an “I’m out on this tightrope all by myself” feel to it that doesn’t appeal to a lot of us. Perhaps you dreamed about becoming a franchise mogul. Alas, the nearest thing to a high roller you ever achieved was tossing a twelve when you played Monopoly. “Franchise owners have nerves of steel, old money backing them, and fireballs shooting out of their eyes. That isn’t me. I could never make it in that world.” That’s what you told yourself, but you were wrong about the old money part (The fireballs, too.) Sure, some franchises are terribly expensive. It takes $1 million to buy into McDonald’s. But, you could become a franchise owner for under $200. You just have to know where to look…or have Gildshire looking out for your best interests. Here’s what we discovered about low initial investment franchises that could be what you have imagined. If you can lay your hands on ten grand, any one of these franchises can work for you. However, if you only have a couple of hundred dollar bills worth of disposable income, keep reading. We have something interesting for you at the bottom of the page. Club Z, In-Home Tutoring Service: This is America’s highest-rated education-aid service! They have over 4,000 locations scattered out over all 50 states. Founded in the Sunshine State of Florida during the 1995/96 academic campaign, Club Z franchisees have several avenues to revenue. They include at-home tutoring, online coaching, a rigorous pre-exam boot camp, along with college consulting. Perhaps most intriguing is the fact that you don’t need to be a certified (or even certificated) teacher to own a franchise. Club Z franchisees monitor their tutor/clients. Though you don’t do any of the hands-on teaching, an avid interest in student learning is a must. The initial investment: $9,995. Chester’s Chicken: Remember that $1 million that is necessary to become a McDonald’s franchisee? That’s crazy talk when less than $9,000 gains you a chicken place. Chester’s, an Alabama icon, has a proprietary recipe and almost 1,000 locations so far. You’ll find them in strip malls, convenience stores, larger supermarkets, and seasonal street fairs. The initial investment: $8,639. Baby Boot Camp: “New Mom, do you want to get back into your bikini?” That was the question that inspired this rapidly growing business opportunity. Baby Boot Camp started almost 20 years ago, blending a variable-intensity workout with a stroll with your baby. It was a genius idea! Besides the workout regimen itself, Baby Boot Camp offers new Moms nutrition help, emotional support, and educational materials. The initial investment: $4,000. Cruise Planners: Have you wondered whether you missed out. Maybe your professional calling was during the days of the downtown travel agency. Do you find yourself helping friends plan dream vacations for fun, just because you find it fun to do? Consider opening a Cruise Planners franchise. From its origins in Florida, Cruise Planners has become the biggest home-based travel franchise anywhere, with 2,500 outlets, in all 50 states. 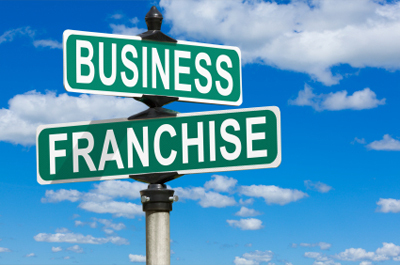 Franchisees pay the initial franchise fee and work out of their homes. They sell cruises, of course, but also rental cars, travel insurance, etc. Cruise Planners provides a proven business model, training, branding material, and marketing help, along with individual support. The initial investment: $2000. Umbrella Tax Solutions: Remember we promised a franchise opportunity with the money you have laying around the house. Umbrella Tax Solutions franchisees get what they need to be para-professionals in the tax game. “All they need” includes the software to prepare returns and helpful marketing advice. Franchisees are required to have absolutely zero in the way of tax prep experience. In fact, no experience is preferred. The head office’s comprehensive training takes care of that. New franchise owners often choose to begin part-time, which is an option appropriate for cautious entrepreneurs who may prove hesitant to scuttle a full-time job in favor of a flyer on a franchise. The initial investment: $199.00. Do these ideas light a fire in your imagination? That’s great, because your next career may be on this page.